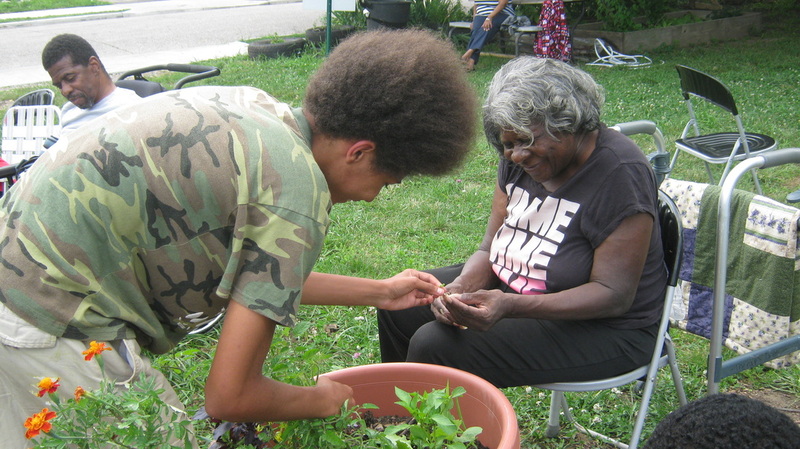 We work hard to create fun, engaging, multi-generational programming that encourages urban agriculture and healthy eating! 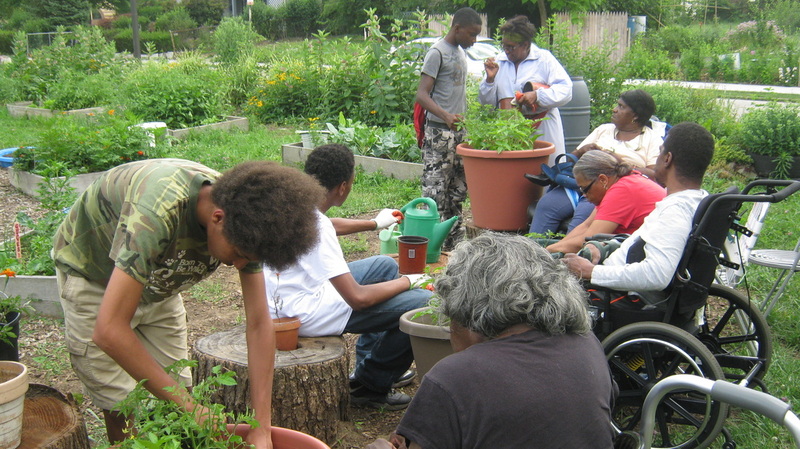 Check out our First Farmers, Y.O.U. 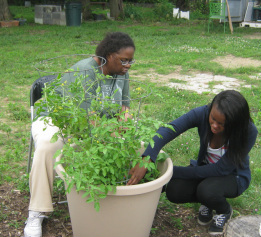 Program, Crawford Senior Center, Hearty Hearth, and Souper Saturday tabs for more information! 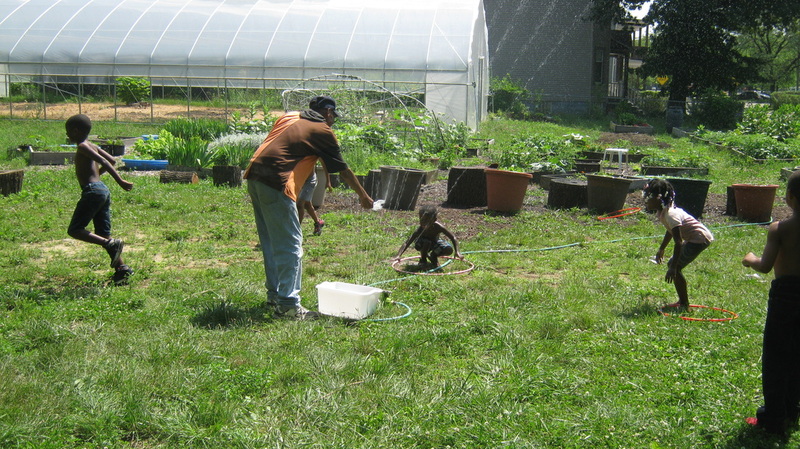 Above: One of our community gardeners cleans lunch dishes in the sprinkler while children play and plants are watered! Now that's what we call multitasking! Below: Seniors from Crawford Nursing Home and our Y.O.U. 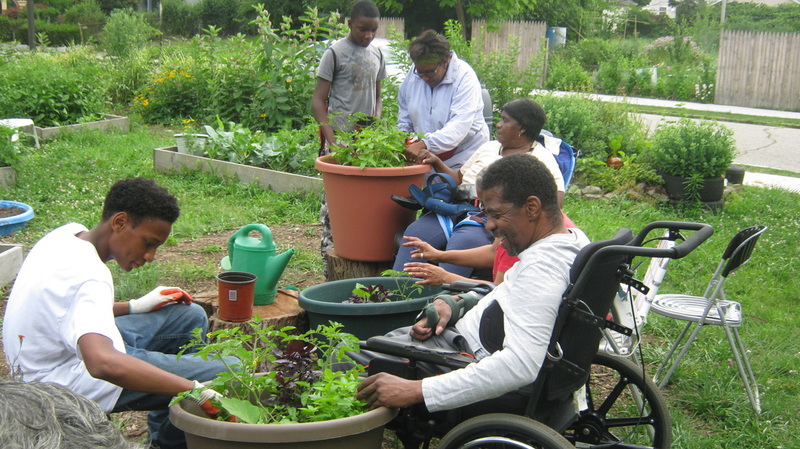 workers working together to tend to the senior garden!